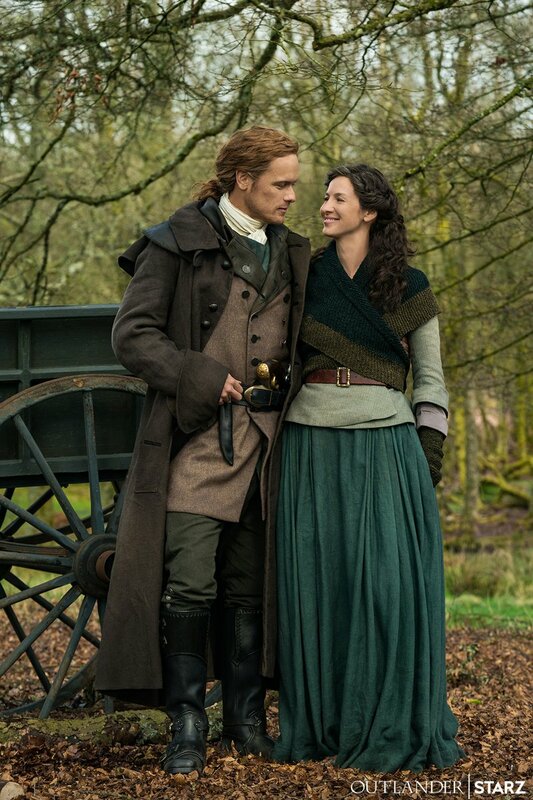 Starz has yet to announce when season 5 of Outlander will premiere, but fans can expect it to be not only sometime in 2020. Bluff City Law – A character-driven legal drama that follows the lawyers of an elite Memphis law firm that specializes in the most controversial landmark civil rights cases. Led by legendary lawyer Elijah Strait and his brilliant daughter, Sydney Keller, they take on the toughest David-and-Goliath cases while navigating their complicated relationship. Council of Dads – Scott Perry’s life is thrown into upheaval when he gets a potentially terminal diagnosis. Facing mortality, he and his wife, Robin, assemble a unique group of carefully chosen friends to support his family and guide them through the ups and downs of life’s many challenges. Inspired by the bestselling memoir by Bruce Feiler. Emergence – A character-driven genre thriller about a sheriff who takes in a young child that she finds near the site of a mysterious accident and who has no memory of what has happened. The investigation draws the sheriff into a conspiracy larger than she ever imagined, and the child’s identity is at the center of it all. Lincoln – Based on the bestselling book series about Lincoln Rhyme, a legendary forensic criminologist who was seriously injured during his hunt for the diabolic serial killer known as the Bone Collector. Called back into action when the killer re-emerges, Lincoln forms a unique partnership with Amelia Sachs, a young beat cop who helps him hunt the deadly mastermind while also taking on the most high-profile cases in the NYPD. Prism – A provocative exploration of a murder trial in which every episode is told through the perspective of a different key person involved. Each new version of the facts ratchets up the mystery and the suspense, calling into question everything we have seen so far and asking: Is the right person on trial? Driven by an ensemble of complicated characters, the show lets the audience ask if truth matters less than who can tell the most compelling story. Zoey’s Extraordinary Playlist – An innovative musical dramedy about a whip-smart but socially awkward girl in her late 20’s who is suddenly able to hear the innermost thoughts of people around her as songs and even big musical numbers that they perform just for her. With this new ability at her disposal, she is able to use her “gift” to not only help herself understand people in her life, but also to help others around her. Deputy – Deputy Bill Hollister is a career lawman who’s very comfortable kicking down doors and utterly lost in a staff meeting. But when the LA County Sheriff drops dead, Bill becomes acting sheriff of Los Angeles County, in charge of 10,000 sworn deputies policing a modern Wild West. Lovestruck – A structurally inventive dramedy, in which the entire first season takes place over the course of single night at a wedding. As we get to know the wedding party, we’ll learn surprising reveals about both their present and past. We’ll see that things aren’t always what they seem and explore the complicated bonds of love, friendship and family at different stages of life. Next – A propulsive, fact-based thriller grounded in the latest A.I. research features a brilliant but paranoid former tech CEO who joins a Homeland Cybersecurity Agent and her team to stop the world’s first artificial intelligence crisis: the emergence of a rogue AI with the ability to continuously improve itself. Marrying pulse-pounding action with a layered examination of how technology is invading our lives and transforming us in ways we don’t yet understand, the series also presents us with a villain like we’ve never seen before, one whose greatest weapon against us is ourselves. Prodigal Son – Malcolm Bright has a gift. He knows how killers think, how their minds work. Why? His father was one of the worst — a notorious serial killer called “The Surgeon.” That’s why Bright is the best criminal psychologist around; murder is the family business. He will use his twisted genius to help the NYPD solve crimes and stop killers, all while dealing with a manipulative mother, annoyingly normal sister, a homicidal father still looking to bond with his prodigal son, and his own constantly evolving neuroses. Untitled Annie Weisman/Jason Katims Project – Only child Julia Beckley has her life turned upside down when it’s revealed that her father, a pioneering Nobel Prize-winning fertility doctor, used his own sperm to conceive dozens of children over the course of his career. Reeling from this explosive revelation, Julia discovers two new sisters — her former best friend and an ex-Olympic athlete. Against all odds, the women attempt to form an untraditional family and lean on each other as they grapple with their own identity crises. Based on the Australian series Sisters. Alive – A San Francisco homicide detective is mysteriously brought back to life after being killed in the line of duty, but as he resumes his old life and he and his wife realize he isn’t the same person he used to be, they zero in on the strange man behind his resurrection — Dr. Victor Frankenstein. Courthouse – A show that pulls back the curtain on the court system and follows the dedicated, chaotic, hopeful, and sometimes absurd lives of the judges, assistant district attorneys, and public defenders as they work with bailiffs, clerks, cops and jurors to bring justice to the people of Los Angeles. Evil – A skeptical female clinical psychologist joins a priest-in-training and a blue-collar contractor as they investigate supposed miracles, demonic possessions and other extraordinary occurrences, to see if there’s a scientific explanation or if something truly supernatural is at work. FBI: Most Wanted – The potential spinoff centers on the division of the FBI tasked with tracking and capturing the notorious criminals on the FBI’s Most Wanted list. Tommy – When a former high-ranking NYPD officer becomes the first female Chief of Police for Los Angeles, she uses her unflinching honesty and hardball tactics to navigate the social, political, and national security issues that converge with enforcing the law. The Republic of Sarah – A small New Hampshire town is thrust onto the world stage when the discovery of a valuable resource within its borders compels the residents to declare themselves an independent nation, setting the unlikely young mayor and her cabinet of inexperienced locals on the path of running a brand new country. Surveillance – This spy thriller follows Maddy, the head of communications for the NSA, who is torn between protecting the government’s secrets and her own. Under the Bridge – When a scandal rocks the medical practice she runs with her husband and their friends, a surgeon rises to the occasion and takes the lead in trying to mend both the practice and her own marriage. The Baker and the Beauty – Tells the story of the unlikely romance between a blue-collar baker and an international superstar. Theirs is a relationship that not only upends their own lives, but the lives of their two very different families. Based on the original Israeli series. Heart of Life – Inspired by John Mayer’s hit song, the show follows two sets of adult siblings from wildly different worlds who discover they’re related and must reassess everything they thought they knew about their shared father. As they explore the mystery of their separate childhoods, they’ll experience the difficulty in overcoming the sins of the past, and learn the joys of reuniting with long-lost family. The Hypnotist’s Love Story – After a string of failed romances, hypnotherapist Ellen is optimistic about her current boyfriend. But then he reveals a disturbing truth: a stalker ex-girlfriend has been following him for years. Ellen finds herself intrigued — and oddly thrilled — by the stalker, entirely unaware that they’ve already met. Based on the bestselling book by Liane Moriarty. New York Undercover – Picking up 20 years after the end of the ’90s Fox cop drama, the revival will follow detectives Nat Gilmore and Melissa Ortiz as they investigate the city’s most dangerous criminals from Harlem to Battery Park. Some cast members from the original series are expected to reprise their roles. NYPD Blue – The revival will focus on Theo, the son of Andy Sipowicz, who is trying to earn his detective shield and work in the 15th squad while investigating his father’s murder. Stumptown – Inspired by the graphic novels, the project follows Dex Parios, a strong, assertive, and unapologetically sharp-witted army veteran working as a P.I. in Portland, Oregon. With a complicated personal history and only herself to rely on, she solves other people’s messes with a blind eye toward her own. Triangle – What if the Bermuda Triangle was not a watery grave in the middle of the ocean, but a land lost in time that has trapped travelers over the course of human history? When a family is shipwrecked in this strange land, they must band together with a group of like-minded inhabitants — from throughout history — to survive and somehow find a way home. Until the Wedding – The story of how one couple’s decision to get married can affect everyone in their lives. The show will explore the intimate relationships of a group of friends/family as they are forced to reckon with their own romantic lives and come to terms with the realities of love and marriage. Based on the Israeli format. Untitled Hank Steinberg and Curtis “50 Cent” Jackson Project – A serialized legal and family drama about a prisoner who becomes a lawyer, litigating cases for other inmates while fighting to overturn his own life sentence for a crime he didn’t commit. His quest for freedom is driven by his desperate desire to get back to the family he loves and reclaim the life that was stolen from him. The show will also, through the window of his ferocious struggle and his complicated relationship with a progressive female prison warden, examine the flaws and challenges in our penal and legal systems. One year after Steppenwolf’s invasion in Justice League, troubled 14-year-old orphan Billy Baston (Asher Angel) is set to move in with the Vazquez family and their other five foster kids. One day, Billy gets on a subway car and finds himself transported to a different realm where an ancient wizard gives him the power to transform into a godlike adult superhero (played by Zachary Levi) by uttering the word “Shazam!” Billy and his new foster brother Freddy Freeman must discover Billy’s new powers and how to use them to prevent the villain Dr. Thaddeus Sivana (Mark Strong), who has powers of his own, from committing nefarious acts. The film also stars Jack Dylan Grazer and Djimon Hounsou. Based on the book, the film follows a young boy (Finn Little) growing up on largely uninhabited coastline of Southern Australia. He rescues three orphan pelicans and forms a close bond with the three. The cast includes Geoffrey Rush and Jai Courtney. The true story of the unlikely relationship between Ann Atwater (Taraji P. Henson), an outspoken civil rights activist, and C.P. Ellis (Sam Rockwell), a local Ku Klux Klan leader. During the racially charged summer of 1971, Atwater and Ellis come together to co-chair a community summit on the desegregation of schools in Durham, N.C. The ensuing debate and battle soon lead to surprising revelations that change both of their lives forever. The cast includes Anne Heche, Wes Bentley, Bruce McGill and Nick Searcy. A woman (Gugu Mbatha-Raw) is forced to go on the run when her superhuman abilities are discovered. Years after having abandoned her family, the only place she has left to hide is home. The film also stars Lorraine Toussaint, Saniyya Sidney and David Strathairn. Hellboy (now played by David Harbour) and his closest allies battle an undead sorceress who has the intention of destroying the world. The film also stars Milla Jovovich, Ian McShane, Sasha Lane, Daniel Dae Kim and Thomas Haden Church. A woman (Regina Hall) is transformed into her younger self (Marsai Martin) at a point in her life when the pressures of adulthood become too much to bear. The cast includes Issa Rae and Justin Hartley. This animated film focuses on myths and monsters investigator Sir Lionel Frost (voiced by Hugh Jackman), who sets off on an adventure to the Pacific Northwest to prove the existence of a legendary creature—Mr. Link (voice by Zach Galifianakis). Frost, who’s also looking to gain acceptance by his small-minded explorer peers, is accompanied on his journey by Adelina Fortnight (voice by Zoe Saldana), a free-spirited, independent adventurer who just so happens to possess the only known map to their secret destination of trying to find Link. Other voices will be provided by Emma Thompson, Stephen Fry and Timothy Olyphant. Violet (Elle Fanning), a shy teenager living in a small European town, dreams of pop stardom as an escape from her dismal surroundings and shattered family life. With the help of an unlikely mentor, Violet enters an international singing competition that will test her integrity, talent, and ambition. The cast includes Rebecca Hall. John Smith (Marcel Ruiz) fell through ice on Lake St. Louis while playing with friends. He was put in a coma after being rescued by first responder Tommy Shine (Mike Colter). The film follows his parents Joyce (Chrissy Metz) and Brian (Josh Lucas), whose faith in God keeps their hope alive that John will pull through. The cast includes Topher Grace, Sam Trammel and Dennis Haysbert. A modern Western that tells the story of two sisters, Ollie (Tessa Thompson) and Deb (Lily James), who are driven to work outside the law to better their lives. For years, Ollie has illicitly helped the struggling residents of her North Dakota oil boomtown access Canadian health care and medication. When the authorities catch on, she plans to abandon her crusade, only to be dragged in even deeper after a desperate plea for help from her sister. The film also stars Luke Kirby, James Badge Dale and Lance Reddick. After half of all life in the universe was killed due to the actions of Thanos (Josh Brolin), the remaining Avengers – Tony Stark (Robert Downey, Jr.), Captain America (Chris Evans), Bruce Banner (Mark Ruffalo), Thor (Chris Hemsworth), Black Widow (Scarlett Johansson), Clint Barton (Jeremy Renner), James Rhodes (Don Cheadle), Scott Lang (Paul Rudd) and their allies must reassemble to revert those actions in one final stand. The large ensemble cast includes Brie Larson, Karen Gillan, Danai Gurira, Benedict Wong, Bradley Cooper, Tessa Thompson, Jon Favreau, Gwyneth Paltrow as well as expected appearances by Benedict Cumberbatch, Tom Holland, Chadwick Boseman, Paul Bettany, Elizabeth Olsen, Anthony Mackie, Sebastian Stan, Tom Hiddleston, Pom Klementieff, Dave Bautista, Zoe Saldana, Chris Pratt, Evangeline Lilly and Letitia Wright. Movies coming out in May will be posted at the end of April.